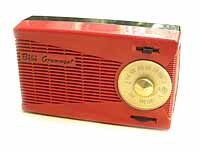 The 275+ pages on this site display transistor radios made between 1954 and 1968, as well as some of their pocket crystal radio and subminiature tube radio ancestors. 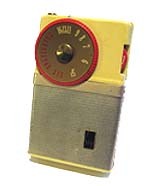 Included here are some of the earlier transistor radios from Western Europe as well as rarely-seen transistor radios from former Soviet and East European countries manufactured between 1959 and 1968. 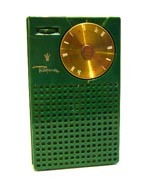 The transistor radio was the first significantly popular mass-production consumer product to make use of the transistor, a device arguably considered to be the most significant invention of the 20th century.